“The musical tradition of the universal Church is a treasure of inestimable value, greater even than that of any other art. The main reason for this pre-eminence is that, as a combination of sacred music and words, it forms a necessary or integral part of solemn liturgy” (Sacrosanctum Concilium, no. 112). The primary focus of the Cathedral music program is to support the assembly in the singing of the hymns and responses, and to lift their hearts and minds through the great patrimony of music that belongs to the Church. All Cathedrals are charged with a responsibility of modeling liturgical and sacramental practices for not only the diocesan parishes, but for the entire community. Unique for a small city, Savannah has become a major travel destination for work and leisure, and as much as a quarter of a liturgy’s assembly may be visitors and guests. Acknowledging the important mission sacred music has to the service of God and understanding the profound impact music has on upon the liturgical celebrations of the Cathedral is what guides the efforts of the musicians of the Cathedral. The musicians strive to prepare the great music of the Church and present it at a high level at every liturgy. The repertoire spans the entire gamut of sacred music from the earliest Gregorian melodies to worthy music crafted by living composers. 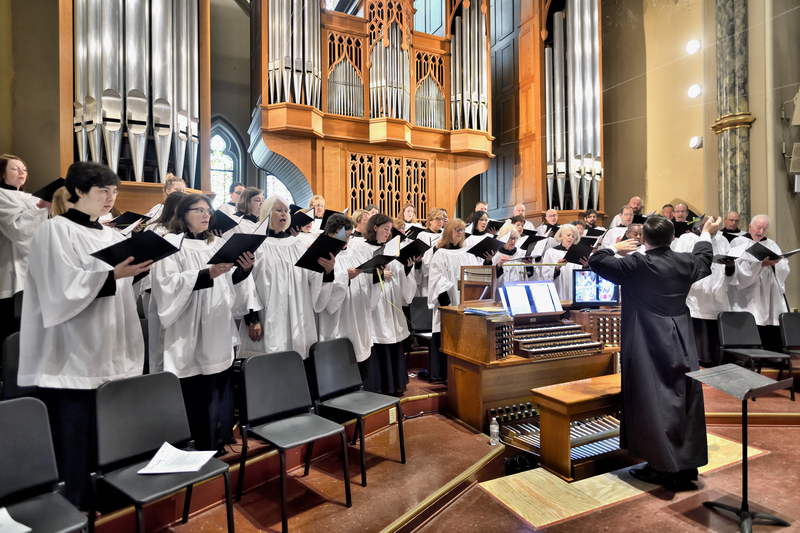 Use of the Cathedral’s Noack Tracker Pipe Organ is standard at every Liturgy, and the 10:00 a.m. Mass on Sunday morning is sung by the Cathedral Choir September through May.